In the news this week: The 2018 Dassai Design Awards come to a close with the winning design reveal below! Then, those craving sake in Finland now have a place to call home at Helsinki’s Gohan. Last, the world’s first pink sparkling sake! Asahi Shuzo, makers of the internationally-known sake brand Dassai, held a ceremony on December 17 to celebrate the winners of the Dassai Design Award 2018. Top honors went to Gai Okajima for his festive but elegantly simple design featuring an otter with a koi tied to its back. 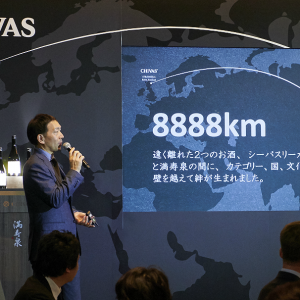 Okajima will receive the Grand Prize certificate, medal, and 1,000,000 yen (US$9,200) cash, in addition to the honor of his design gracing packages of Dassai 23 Junmai Daiginjo worldwide starting mid-January. Five other contestants also received Awards of Excellence that included a medal and a 200,000 yen ($1,800) cash prize. 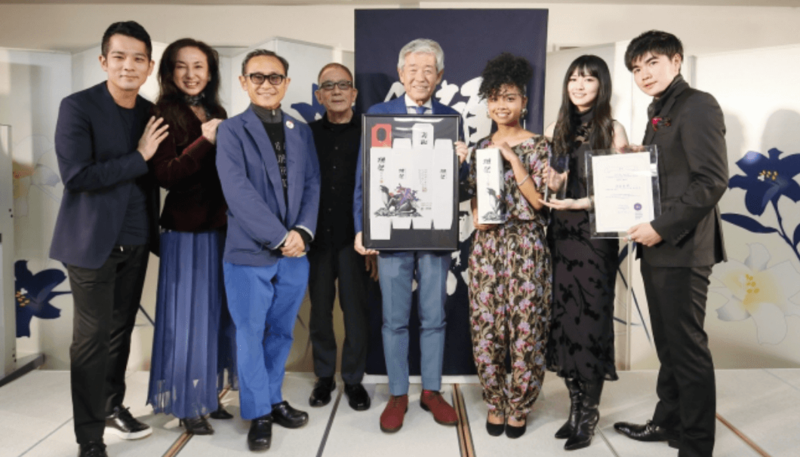 The winners bested a vast field of 402 entries and a shortlisted pool of 15, judged by a panel of five, including the founder of Asahi Shuzo Hiroshi Sakurai and other members of the art and restaurant industries. 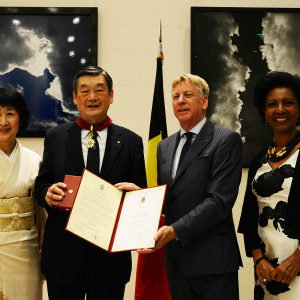 All judges and winners were present at the ceremony, during which Sakurai declared the contest a symbol of Dassai’s mission to strive for improvement and innovation. On December 2, 2018, Gohan opened its doors in the historic Torikorttelit district of Helsinki, Finland. It’s an intimate sake and wine bar that also offers a range of small dishes featuring organic and seasonal ingredients. Chef Marcos, who holds experience in Michelin-starred restaurants, heads the six-person staff. In charge of the sake is Otto who, along with Marcos, also founded Helsinki’s first ramen restaurant, Fat Ramen. The chilled sake selection is varied and includes junmai ginjo, daiginjo, nama genshu, umeshu, and yuzushu. Along with a range of wines, Gohan pairs these drinks with imaginative dishes built from high quality, locally-sourced ingredients. It promises to be a one-of-a-kind dining experience, fusing Finnish and Japanese cuisines with a touch of originality for good measure. Takizawa Brewery in Saitama Prefecture released a special sake called Hitosuji Rosé – the first-ever clear pink sparkling sake. 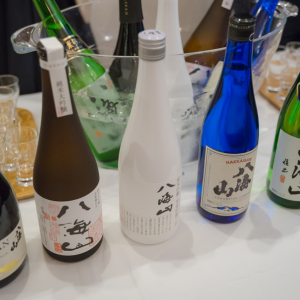 Released in November 2018, it’s a variation of the brewery’s renowned Hitosuji sparkling sake, one of the few in Japan to gain the Japan Awasake Association’s official “awasake” certifications for its high standards of purity and production. Hitosuji Rosé uses a unique red yeast to achieve its color and taste. This yeast has actually been known for quite some time, but is usually considered too weak for efficient fermentation and the coloration generally turns out cloudy. Since sake brewers usually strive for clarity in their product, this murky color is undesirable. But, Takizawa Brewery, after a long development process, finally found a way to use red yeast to color the sake translucently for the first time. The result is a clear and sweet pink sparkling sake that is said to go well with deserts in particular. If you’re looking for a more lively and fun sake without sacrificing quality, then Hitosujii Rosé is worth a try!